I am told that I am a strange human being. You don’t have to tell me if you agree. So, I’m really not an overly picky eater – I like to try all kinds of new foods, and can get along with most of the ones I encounter, but there are a few things I don’t dig. For example, French fries – like the fast food ones that are all crispy outside and no potatoey inside – are only worthwhile as rides for delicious ketchup. Apparently this is weird? Which is why, finally getting past fries and ketchup to the reason we’re all here, my hankering for cake for the last week or two is so out there. What’s up with that? Maybe it’s that Steve’s birthday tomorrow, that puts cake on my brain. He really loves cake. On his birthday, cake is the new breakfast cereal. Maybe it’s also the “cake” in FitCakes that is always whispering to me, just make cake, Courtney, do it! Well, when life calls for cake, there’s no better way to answer than to make cake. I’m kickin’ off this FitCake Fest with one of my all-time favorite flavor combinations, almond and apricot, a pair with a sunny disposition that puts a Sunday afternoon at ease, and makes you want to kick your feet up like the weekend has only just begun. Based on a favorite recipe from Giada deLaurentis’ New Italian Favorites, these bitty ones are weekend coffee cakes at heart, and make easing into the workweek so much more realistic. It's running away without its wrapper! Somebody catch the streaking cakelet! Preheat the oven to 350 degrees F. and line 12-15 muffin tin cups with liners – or spray with cooking spray. Whisk together the flour, almond meal, baking powder, and salt in a bowl and set aside. With an electric beater or stand mixer, beat the eggs and sugar together until thick and frothy. On a medium-low speed, slowly add the melted butter, and then the applesauce and milk. Mix in the almond extract and chopped apricots with a spatula, and then the flour mixture, stirring until just combined. Using a scoop, like a small measuring cup or ice cream scoop, ladle your almond-y mixture evenly among the muffin cups. 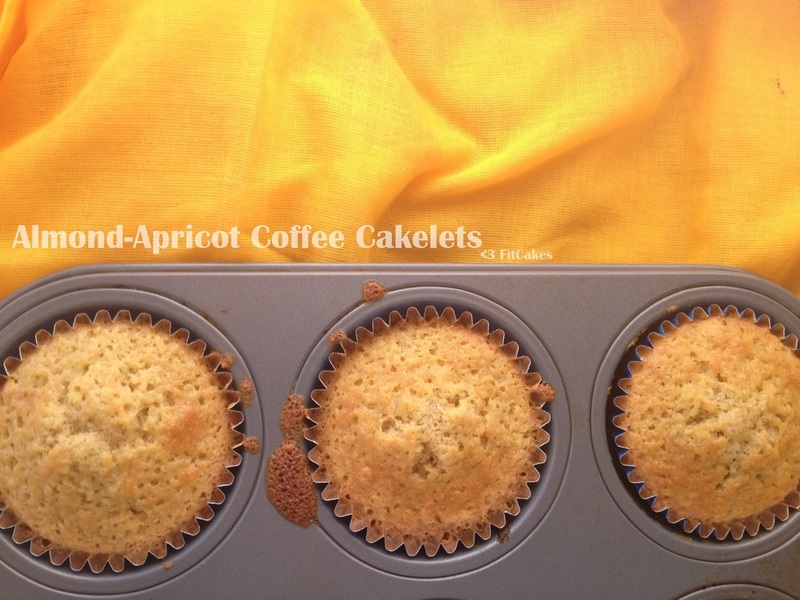 Make sure to take scoops from the bottom, getting a few chopped apricots in each muffin. When your 12-15 muffin cups are filled (I had 15), sprinkle a few sliced almonds and a pinch of granulated sugar on top. Bake for 20-22 minutes or until slightly browned and springy to the touch. A toothpick inserted in the center should come out clean.